Is Ariana a mermaid or Poseidon’s wife? Does it even matter? I think what is apparent is that it’s not a regular Greek god-themed video slot, but something that’s actually more down to earth. This time you’ll even see starfish and seaweed as symbols. It’s definitely more mature in this regard, and there’s a lot of exciting material waiting to be uncovered about this Microgaming’s mobile slot. 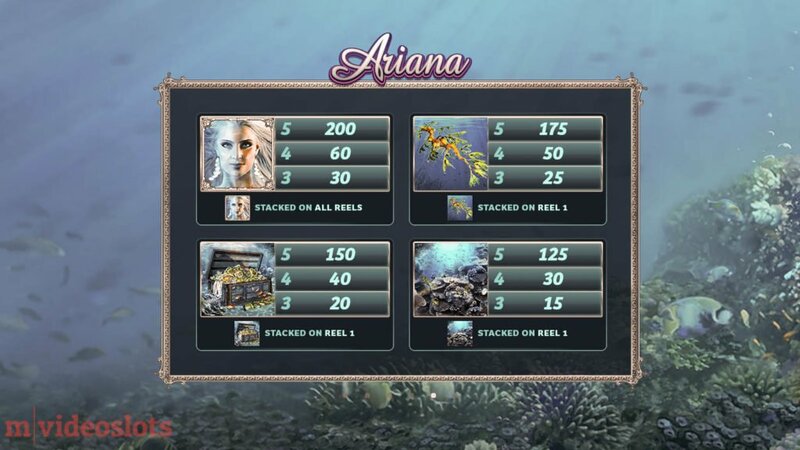 So without further ado, let’s get right to the Ariana mobile slot review. 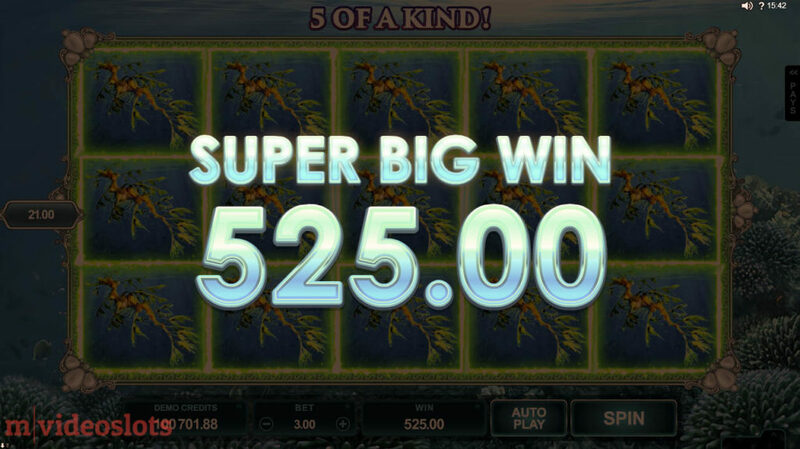 Super Big Win in the base game — 175x the total bet. May 2015 was a very exciting month for Microgaming fans as the iGaming software released a bunch of new and updated video slots. 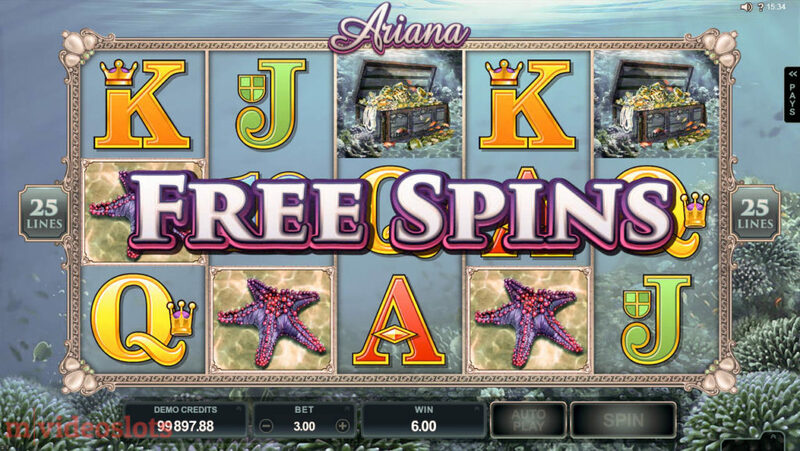 Among the 15-line Big Chef, for instance, the studio released this 25 fixed line Ariana mobile slot. And as players have come to expect, the 5-reel game was released simultaneously on download, Flash, HTML5, and even Android and iOS platforms. That of course makes Ariana compatible with your iPhone, iPad, and Android devices, just to name a few. 20x the total stake win in the base game. So I’ve now concluded that it’s probably not Amphitrite (the sea goddess and Poseidon’s wife). 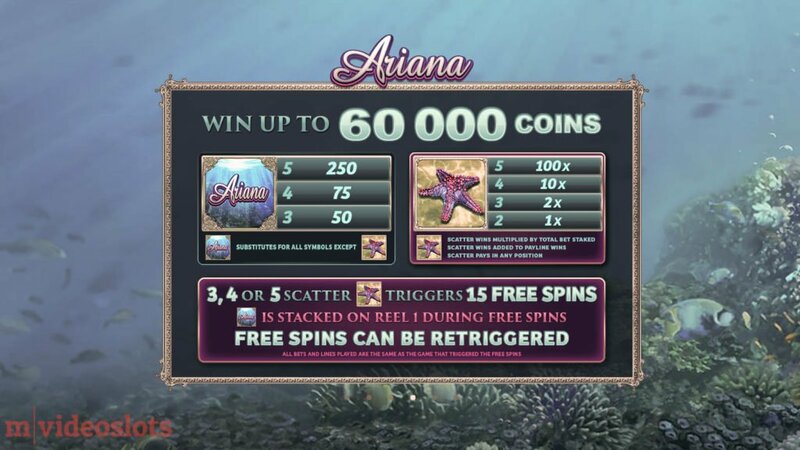 Regardless of the theme, the Ariana mobile slot has been proved to be very successful and popular amongst players. They also seem to enjoy the slot for the fact that it’s not just another 243-Ways clone, but rather something different. Before I get into that, let’s take a look at the symbols in Ariana. Unfortunately for some, the online slot does have the low-pay playing card symbols, but don’t be bothered with them too much, as it’s at least the medium-pay symbols you should be after. Symbol combos turn silver for easier tracking like in Game of Thrones or Thunderstruck II. As you can see, they don’t pay anywhere near 1,000 coins here, so there must be something more to it. After all, 5x Ariana symbols in view award just 200 coins. Look closely…you may notice below the icons that there’s text that says Stacked on Reel 1. You probably think you know how this works, but hold on — this doesn’t mean symbols only expand on the 1st reel and that’s it. Nor does it mean that they fill up the other reels on their own – in fact, they don’t even appear on other reels. But it’s actually just as simple. Trigger any high symbol stack on reel 1 to expand all matching symbols on the remaining reels! For instance, whenever you trigger 3x Treasure Chests (stacked) on reel 1 (and you have more Treasure Chests on one or more active paylines on other reels) then they expand to cover the entire reel. Again, I stress that the expansion only happens when the symbols are part of a winning combo! So that’s the base game. Before I get to the best part of the slot machine you may want to know that Wilds are part of the slot too. They not only substitute for all symbols — except Scatters — but pay even more than the medium pay Ariana symbol! 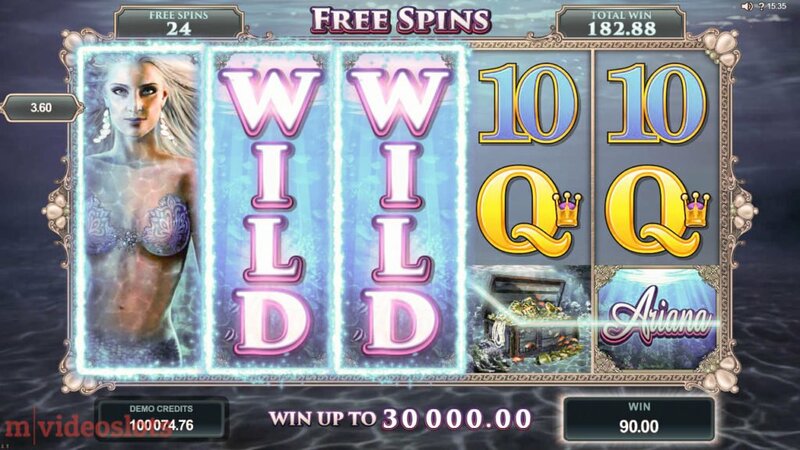 And don’t get confused, because the Wild is the Ariana game logo, and not the sea goddess/mermaid. Trigger the Free Spins bonus with 3 or more Scattered Starfish anywhere on the screen! 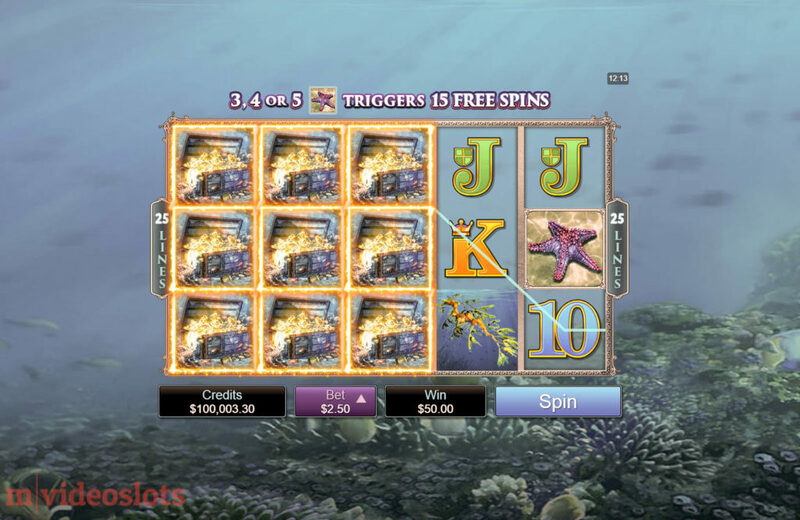 3, 4 or 5 Starfish symbols trigger 15 Free Spins. Plus, 5 of them award a whopping 100x the total stake as an additional bonus. Not bad! If you want to see the feature in action before you give it a try, have a look at the Ariana bonus video review below: Ariana video review is coming soon! Did you notice the difference between the base game? the mobile slot now also feeds Stacked Wilds on the first reel too! And just like in the main game, that Stacked Wild on reel 1 affects the other Wilds that you may have on the other 4 reels. This can result in some pretty impressive wins, whether you bet 10x or 1x coin per line. Free Spins can be retriggered! So this is it! Ariana’s mysteries have all been uncovered, and as you found out it was the Expanding Symbols feature. This can ultimately trigger the slot’s jackpot, which is set to 60,000 coins. So if you want to take a break from 243-Way video slots like Game of Thrones, Thunderstruck II or even Net Entertainment’s Twin Spin, then Ariana is a very good option. More gods and goddesses? 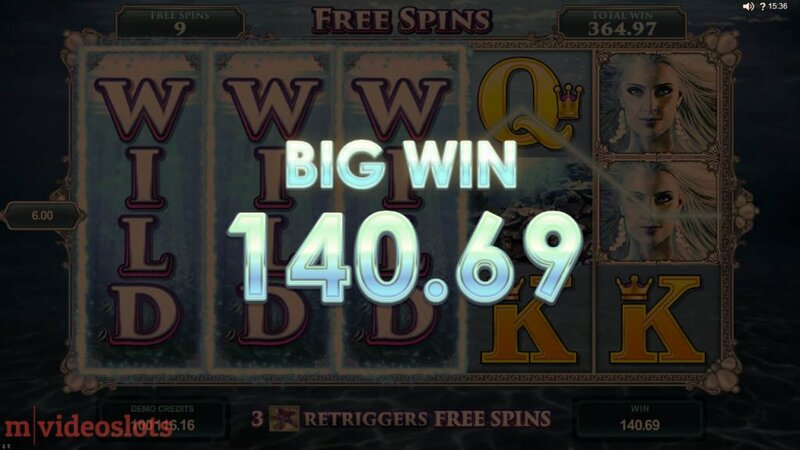 Not a problem – Williams Interactive and IGT are kings in this category, with highly popular video slots like Zeus, Cleopatra, and Golden Goddess. So give it a try on your tablet or mobile in Free Play at Guts.com or at the ‘gentlemen’s club’ below.